Parker motion controllers are powerful designs that have the processing power to coordinate multiple axes of motion. 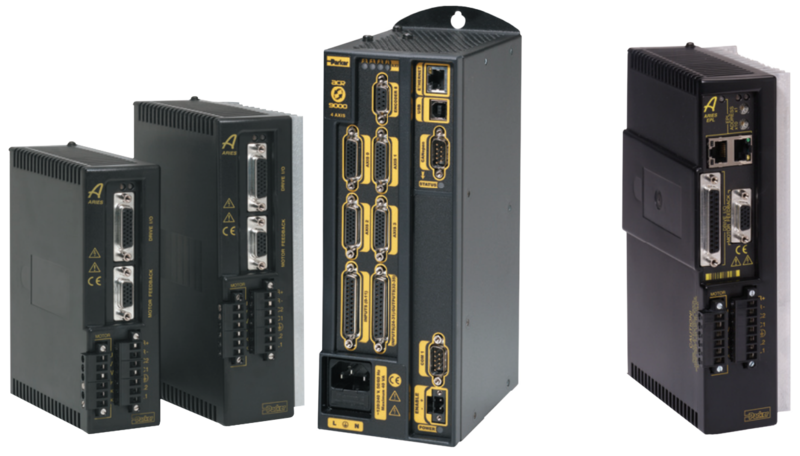 Parker controllers have advanced features built in, such as kinematics transformation for the control of robots and other non-linear functions. 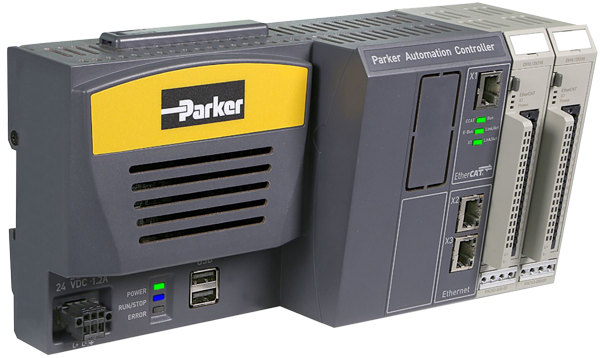 Designed for the global machine market, the Parker Automation Controller (PAC) combines advanced logic, signal handling, multi-axis motion, and visualization into one performance-driven solution. The ACR control platform supports a wide variety of motion control applications, providing the machine designer an unprecedented level of fl exibility. Everything from single-axis point-to-point motion through multi-tasking programs controlling high performance multi-axis circular interpolation is available within the ACR platform.